Just add bedsheets for endless fun! A rocket one day, a pirate ship the next – you are only limited by your imagination. 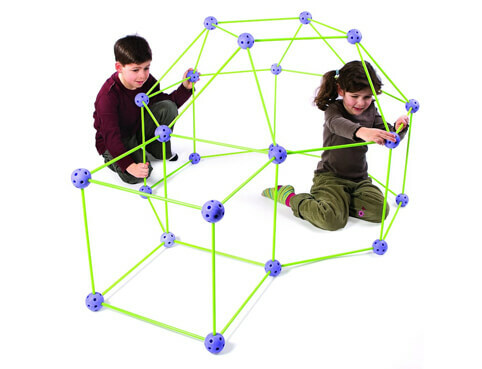 Connect the sticks and balls to create a multitude of possible play structures.